A perfect accessory for your panic pup. 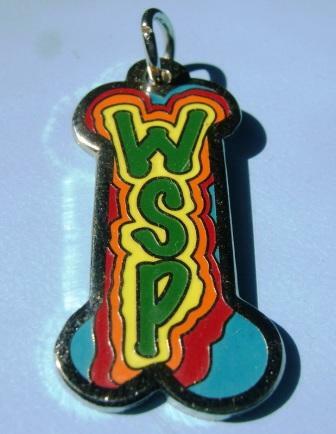 This metal Widespread Panic dog charm is 1 1/4" long and is engraved on the back with "Panic Pup". Looks great on your panic puppy. Our Whiskey dog sports his tag everywhere he goes--we love it. Plus! While his rabies tag has teeth marks in it (he chewed on his tags because had never worn a collar so the jingling freaked him out), his Panic Pup tag is still in pristine condition. High quality item for a quality price.